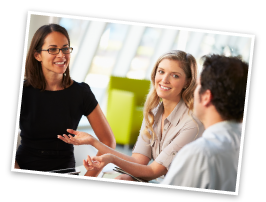 There are a large number of insurers available to consumers and businesses in Australia, which means you have a wide choice of providers and products. When purchasing insurance, make sure you come prepared with the information you need to get an accurate quote. You should have a good understanding of the risks you face, the value and details of what you want to insure, and the amount of excess you’ll accept. Find out about the cooling off-period so that if you change your mind about an insurance purchase, you can cancel the policy. Under law, most general insurance products have a minimum 14-day cooling-off period. Cancellation may still be available after the cooling-off period ends, but you may be charged a cancellation fee. Each insurer will offer products that differ from those offered by other insurers, with variations in the coverage, the terms and conditions, exclusions and costs. You should read the policy terms and conditions carefully and look for an insurance product that best suits your needs. The policy will be included in a Product Disclosure Statement that sets out all relevant information about the cover. A Product Disclosure Statement will be available from each insurer, often on their website. 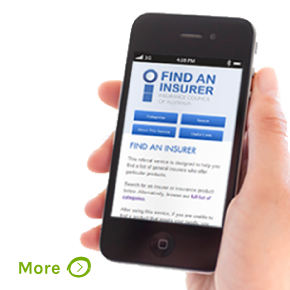 For lists of insurers that offer insurance products in Australia, visit www.findaninsurer.com.au. 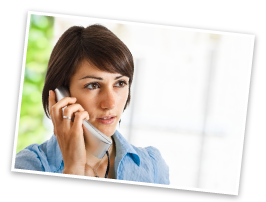 You can ring insurers for quotes and ask the questions you need to understand how you will be covered by the policy. Friends and family may also offer their own recommendations. The final decision is yours. You may choose to use an online site to compare insurance products. However, you should pay attention to what the site offers. Some of these sites may look at only a restricted range of products from a small number of insurers, and may not compare products in great detail. They may focus on price without considering the level of cover and product inclusions and exclusions. When choosing a policy, you should always first consider carefully what you need. Deciding on which insurance product you should buy can be complicated, but when you consider what you’re trying to protect, taking the time to compare policies is more likely to give you what you want and need. Each insurer has different policies, and the terms and conditions, features and extras can vary widely, even with products offered by the same company. Your needs are probably quite different to those of your friends and family, so look for products that cover the risks you’re likely to face. For instance, many household policies cover flood, but some will have coverage limits, while others will not cover flood at all. By comparing product exclusions, you will have a much better idea of the policies that are appropriate for you. Many everyday terms will be defined differently in different policies. Compare the sums insured between policies. These are likely to be quite different between policies. Look for the sum insured that is more appropriate for your needs and personal circumstances. Many policies place limits on how much an individual item or group of items will be covered for. Consider your assets, and how the limits would affect your claim if something unexpected happens. The excess may differ between policies. Compare them, and also look at how much cheaper the policy may be if you accept a higher excess. The cost of the policy is important, but buying the cheapest policy may mean you do not get the protection you want or need. Consider how you would contact your insurer should you need to make a claim, have a question about your policy or need to update or renew it. Some operate only online, while others operate large call centres. When you start comparing policies and quotes, remember price is not the only thing to consider. Cheaper policies may not provide the cover you need if something does go wrong. It’s easy to compare different insurance policies on price alone but each insurer’s policy inclusions and exclusions are different. Make sure you consider your own requirements and which insurance company offers policies most appropriate to your risk. You should have a good understanding of what you will and will not be covered for before signing up for any insurance policy. An insurer may offer a range of similar policies for different circumstances and budgets. If the premium for a particular insurance policy is very low, it may mean the policy has many exclusions or limits on certain risks. The price of your premium is based on the likelihood of a claim being made on the policy in the future. It can also be affected by the excess payable if you claim, and any savings or discounts your insurer may offer. When you buy or renew your insurance, the premium may be reduced if you agree to take on a certain proportion of the risk by increasing your excess. In general, a higher excess will mean you pay a lower premium. The amount and types of excess payable are shown on your current Certificate of Insurance. It’s important to take into account your budget and financial circumstances when selecting your excess level. For instance, if you raise your excess from $300 to $1000 you may lower your premium, but if you need to make a claim under your policy you will be required to pay the first $1000 of the claim to your insurer. Before your insurer calculates your premium, it will include any discounts that apply to your policy. Your current Certificate of Insurance will outline the discounts your insurer has given you. It’s important you check your current Certificate of Insurance to make sure you are getting the discounts you’re entitled to. If you are unsure how your premium has been calculated speak with your insurer. As with any major product purchase, it is important to do your own research before buying an insurance policy. You may choose to compare several different policies and review quotes for each of these before committing to an insurance policy contract. Often an insurer will give you a discount if you have purchased more than one policy with that company (for instance, motor vehicle, home and contents), if you buy your policy online, have a good claims or driving record, are over a certain age or take steps to reduce your risk. 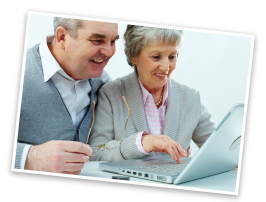 Policy discounts are also widely available for seniors. Most insurers offer quotes online and over the phone. It’s very important to make sure you have the right level of cover, especially for home and contents policies. 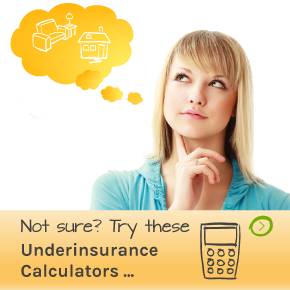 Understand Insurance provides online calculators to help you work out the value of the property and the contents you wish to insure, and insurers may also provide useful online tools. What information do you need to provide when seeking a quote? One of the most important parts of the insurance process, which you must be sure that you understand and fill in correctly, is the information you provide when seeking a quote for insurance. This is the time when you must let the insurer know about any factors that might affect your level of risk for the loss or damage that you are insuring against. You are obliged to tell the insurer about anything that might affect your risk, and therefore might influence the insurer’s decision about what insurance to offer you and for what amount. This is called your duty of disclosure. Typically, the information needed for a quote includes personal information such as your full name, your address, your occupation, and your date of birth. The questions asked as part of the quote process will vary according to the type of insurance you are purchasing. Let’s look at one of the most common forms of insurance. If you are taking out motor vehicle insurance, the insurer will ask for information about your vehicle, including its make, model, year of manufacture, mileage and any modifications that have been made to the vehicle. An insurer may also ask for information about your driving history, such as any fines or other offences you have incurred in recent years, traffic accidents you have been involved in, or insurance claims you have made. Some insurers may also ask about the other people that may drive your car (especially if you a have any drivers who are under 25). They may ask about any criminal history that you have and your medical history. It is crucial to understand what is covered by your selected insurance policy – and what is not covered – before you purchase the cover. Policies will contain a list of exclusions, which are situations or events that are not covered, so you should always read the Product Disclosure Statement (PDS). For example, a travel insurance policy might exclude participation in some sports, terrorist attacks or riding motorcycles in certain countries. A contents policy may exclude damage caused by pets or theft of items left out in the open, such as gardening equipment or outdoor furniture. Some home and contents policies for certain locations might exclude or place limits certain on weather-related losses, such as damage caused by floods or storm surges. Insurance companies all offer different terms in their policies, so if you find the policy you are considering excludes something that you want to be covered, it is worth looking around for a policy offered by a different company, which might give you coverage for that item. One of the key factors people consider when deciding on an insurance policy is the price of the premium. You should be aware that insurance companies base their premium on the risks they take on. Having a high number of exclusions reduces the risk to the insurance company and therefore makes the premium cheaper. A policy that gives you more comprehensive and wide-ranging coverage means the insurance company is taking more risk, so that policy may be more expensive than one which gives you less cover, because it has more exclusions. 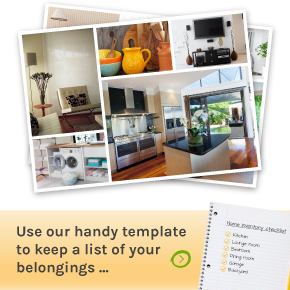 Do you have a household inventory?